Septic, Sewer, Grease Trap & Excavating: Service, Maintenance, Rentals. Florida Keys & Monroe County. Since 1984. 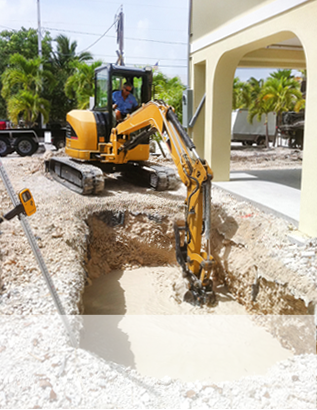 In Business since 1984, Mike Haack Excavating Inc. has built a reputation throughout the Florida Keys for going above and beyond. We possess the knowledge and experience to dependably complete all jobs in a timely manner with quality second to none. Mike Haack Excavating Inc. is fully licensed and insured. We offer a variety of excavating and wastewater services for jobs of all sizes, Residential and Commercial.